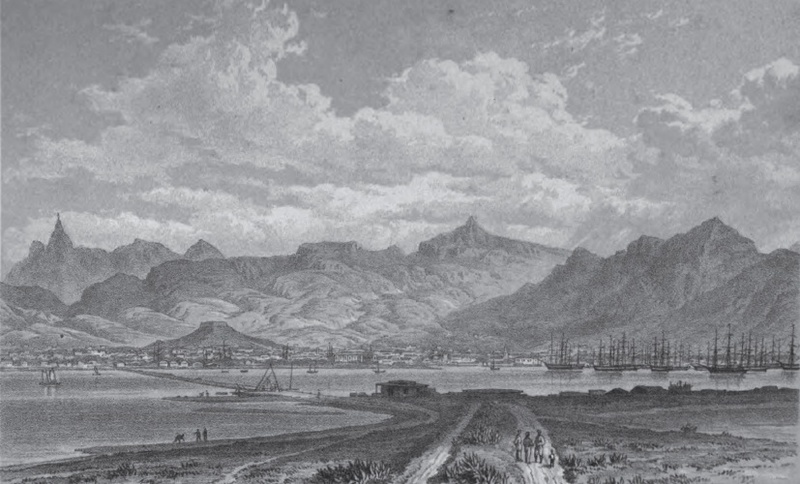 Port Louis, Mauritius, August 1782. The French Indian Ocean colony—highly vulnerable to British attack at the height of the American Revolutionary War—is in a state of alert. The governor, Viscomte François de Souillac, has been warned that a flotilla of 11 ships is approaching his island. Fearing that this is the long-awaited invasion fleet, De Souillac orders a sloop-of-war out to reconnoiter. But before the vessel can report, the panic ends. De Souillac is informed that the fleet has altered course and is now steering away from Mauritius. A few days later, when the sloop returns, the governor gets confirmation: the ships were actually East Indiamen, British merchant vessels making for Fort William in India. All this is remarkable chiefly for the source of De Souillac’s intelligence. The governor had his information not from signals made by ships sailing far offshore, nor from land-based lookouts armed with high-powered telescopes, but from a minor member of the local engineering corps, one Étienne Bottineau. And Bottineau was chiefly renowned in Mauritius (or “Île de France,” to give it its contemporary French name) as a man who won a lot of bets in waterfront taverns thanks to his uncanny ability to foresee the arrival of ships that were anywhere from 350 to 700 miles from the island when he announced their approach. 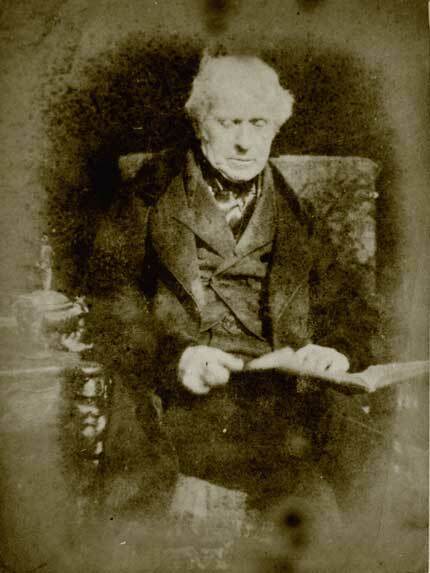 Sir David Brewster, author of Letters on Natural Magic. there can be little doubt that Bottineau was no charlatan–that he had made a discovery which would be of some interest even in these days of W/T [wireless telegraphy], and must, in his own day, have been of much greater importance. 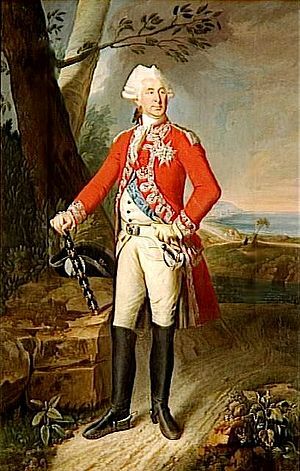 Viscomte François de Souillac, governor of Mauritius in the 1780s and a believer in Bottineau’s talents. What concerns us here is whether Bottineau’s claims stand up as well as Gould thought they did. There is no doubt that the Frenchman was, at the very least, able to confound many of the most senior officers stationed on Mauritius with the accuracy of his predictions. Colonel Trebond, the officer in charge of the island’s infantry detachment, signed an affidavit confirming that “M. Bottineau has, at different periods, announced to him the arrival of more than a hundred vessels, two, three, or even four days before the coast signals”—adding that “moreover… he stated when there was only one, or when there were several vessels.” And Trebond was backed up by M. Melis, the naval Commissary-General in Port Louis, who swore that Bottineau had predicted the arrival of 109 vessels and been wrong only twice. sees in nature signs that indicate the presence of vessels, as we assert that fire exists in places where we see the smoke… this is the clearest explanation that he has afforded, in order to show that he did not make the discovery by knowledge of any art, or of any science, or by the application of any previous science…. The signs, he says, indicate clearly enough the presence of vessels, but they only who can read the signs are able to judge of the distances, and this art, he asserts, is an extremely laborious study. Since the war has broken out, his announcements have been very numerous, and sufficiently correct to create a sensation in the island. We have conversed with him upon the upon the reality of his science; and to have dismissed him as a quack would have been an injustice…. What we can certify is, that M. Bottineau was almost always right. it appeared to me that a vessel approaching land must produce a certain effect upon the atmosphere, and cause the approach to be discovered by a practised eye even before the vessel itself was visible. After making many observations, I thought I could discover a particular appearance before the vessel came in sight: sometimes I was right, but more frequently wrong; so that at the time I gave up all hope of success. In 1764, I was appointed to a situation in the Île de France: while there, having much leisure time, I again betook myself of my favorite observations…. Charles Eugène La Croix de Castries, Minister of Marine. By this time Bottineau felt sufficiently confident to attempt to turn a profit from nauscopie. In 1780 he set a letter home addressed to the Maréchal de Castries, then the Minister of Marine, announcing his “discovery” and offering it to the government in return for a substantial fee. Castries, in reply, ordered the French authorities on Mauritius to make a study of Bottineau’s predictions, carefully recording them in a large ledger and comparing them to the actual arrival of ships in the colony for at least eight months. At the end of that time, Bottineau wrote, “I had announced one hundred and fifty vessels in sixty-two informations; none of which had been found to be false.” Certainly he had been successful enough for De Souillac to offer him a testimonial and approve his return to France to lay his case before the Ministry of Marine. Whether one views Étienne Bottineau as a genius, a trickster or a fool depends largely on what one makes of the documents in the case. 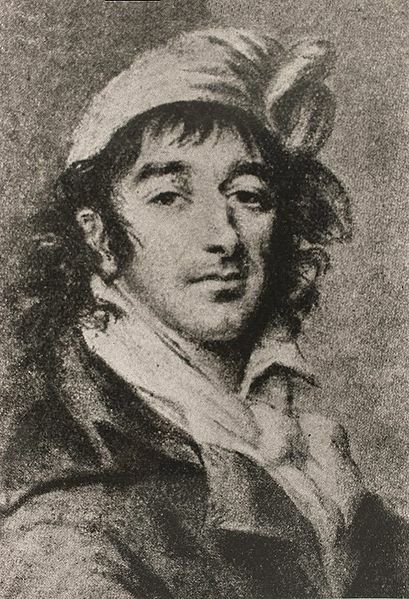 Setting aside Bottineau’s own deposition, the evidence for nauscopie is drawn almost entirely from just two sources: a packet of papers that belonged to Marat and a short biographical memoir written by Étienne Jouy. 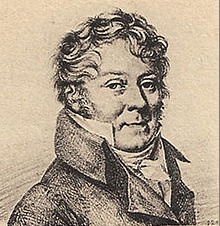 Jouy, a one-time army officer and later a playwright, librettist and member of the Académie Française, encountered the “wizard of Mauritius” during a four-year sojourn in Sri Lanka in the late 1780s and had firsthand knowledge of his predictions. Marat’s papers, meanwhile, include affidavits and Bottineau’s own opaque description of his methods, but their provenance is unusual, to say the least. The surviving packet can be found not in a French archive but in a British magazine; the originals are lost; and the identity of the man who copied them remains unknown. Jean Paul Marat: Bottineau’s friend was also a fervent revolutionary who spent the last years of his life largely confined to his bath, seeking relief from a persistent skin condition. It appears that Marat’s papers must have been seized by the Cabinet Noir—France’s secret postal police—after his murder. With the rise of Napoleon, most of the Cabinet’s holdings from the revolutionary period were deemed surplus to requirements, and when in 1806 a well-connected lady by the name of Madame Guilleminot (sister-in-law to the general of the same name) took up the hobby of collecting autographs and applied to the Emperor’s sister for some samples, “an immense package of letters” from the Cabinet’s files was boxed up and sent to her in Brussels. This collection, which evidently included extracts from the Marat papers, was later sorted by an unnamed British gentleman detained in the city on parole during the Napoleonic Wars; he copied out some of the more interesting items, and on his eventual return to England, these began to appear as a series in The New Monthly Magazine. Given this exotic and uncheckable provenance, it seems worth noting that the New Monthly‘s extracts closely match several excerpts published during Bottineau’s lifetime by The Scots Magazine, which include the most detailed account of the wizard’s day-to-day observations. 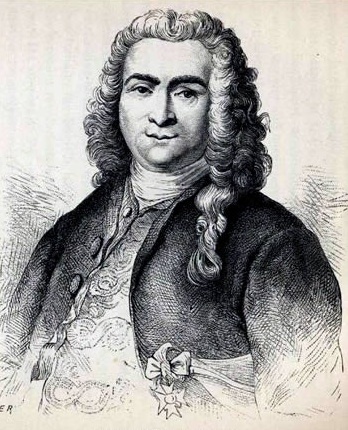 Étienne Jouy, who heard Bottineau make several successful predictions of the imminent arrival of ships in Sri Lanka during the 1770s. Perhaps some clue as to Bottineau’s success can be found in De Soiullac’s rationalization of these negative results. “It has since been proved, that the delay in the arrival of some of the vessels was occasioned by contrary winds,” he wrote, and “those which did not arrive, M. Bottineau is fully persuaded, were foreign vessels which passed by … whether this be the effect of chance, or otherwise, it would perhaps be imprudent in us to determine.” In other words, Botinneau talked fast enough to worm his way out of looming trouble, and De Souillac was happy to pass the problem up to his superiors. The equivocal content of the governor’s testimonial perhaps explains De Castries’s unwillingness to see the wizard in Paris. Well; it is just a story; Prior’s nauscopist was only “said” to be receiving a pension; and the detail of his predictions surpassed by a worrying margin anything that Bottineau ever claimed. Nor was more ever heard of Thomas Trood. But if the wizard was correct in suggesting that nauscopie can only be effectively practiced miles away from the cold and crowded sea lanes of the North Atlantic, in the gentle, balmy waters of the tropics, it is still pleasant to speculate on what might be achieved by someone with good eyesight, a hammock and a few years to spare on a beach in Mauritius. Might it be possible to get a grant for that? Anon. ‘Foresight.’ In The Asiatic Journal and Monthly Register, April 1826; Anon. ‘Nauscopie: the art of discovering the representation of ships, when one hundred leagues and upwards distant.’ Reprinted from The New Monthly Magazine by the Museum of Foreign Literature, Science and Art, August 1833; Anon. Nauscopy. The Scots Magazine, April 1786; Anon. ‘Extraordinary theory as to seeing objects at immense distances.’ Leeds Mercury, May 15, 1866; Anon. ‘The science of Nauscopia.’ In Every Saturday, October 30, 1869; Anon. ‘Nauscopy.’ Pall Mall Gazette, 11 June 1897; Rupert Gould. Oddities: A Book of Unexplained Facts. London: Geoffrey Bles, 1944; Lawrence Green. Eight Bells at Salamander: The Unwritten Story of Ships and Men in South African Waters… Cape Town: Howard Timmins, 1961; Richard Phillips (ed). New Voyages and Travels. London: privately printed, 1819. Excellent read – thanks for posting. I’m off to the beach! Pshaw. Clearly he just used a curved telescope. It may have to do with polarized light – this article on turtles – has an interesting comment – We do know that many turtle species can see polarized light, and use that to see the signature reflections in the sky of waterbodies on the horizon. Yes, but even if a human had some acuity for detecting polarized light, a ship over the horizon would be a tiny spot of non-polarized light against an entire sky of polarized light — much harder to detect than the expanse of polarized light against a backgrground of non-polarized light that sea turtles use. My money is on luck. Or a radar system donated by time travelers. Maybe some funky meteor impact glass with just the right properties? People can see polarization, sort of: Haidinger’s brush. I’m not claiming this would let you see ships over the horizon, just something interesting that turned up looking up polarization on Wikipedia. I knew a construction worker once, who spent a morning going around the camp making (significantly more minor) predictions. He’d take off his hardhat, use it to block the worst of the sun’s glare, and then confidently state the time based on the height of the sun in the sky. He was invariably right down to the minute, and could predict on demand. By the time he got to me he’d been doing this for a few hours, and was happy to explain how. He’d taken a digital watch, removed the straps, and taped it to the inside of his hardhat. I know that we live in an amazing and wondrous age, but sometimes I can’t help but feel that it’s comparatively boring. Fascinating, he mentions that he can see atmospheric hints on the far horizon and that it works best during very clear days. Is there any way this could be studied or replicated in modern times? Is there even a clue as to what phenomenon could possibly account for this accuracy? Probably connected with refraction and possibly a layer of air over the water. I think it must have something to do with the Mauritius islands. Either, geography, an assisted view via polarized lens or something particular to the region. This is a mystery that can be solved with some effort. Looks like fiction to me. Btw I never heard of this story back in Mauritius. That’s why you’re the Mauritius Blog List and this is a fairly reputable history blog.